The perpetual regurgitation of public domain properties is something you either reluctantly enjoy or thoroughly despise. For every Wicked or League of Extraordinary Gentlemen there’s a dozen Pride and Prejudice and Zombies. 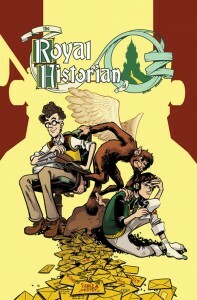 With SLG’s The Royal Historian of Oz, Tommy Kovac and Andy Hirsch take a jab at the mining of beloved literary creations while slyly indulging in the act themselves, and the result is a funny, touching and surprisingly original debut. 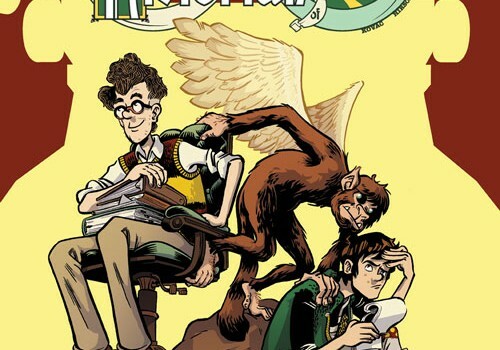 The series follows angsty teenager Frank Fizzle and his relationship with his deadbeat father Jasper, who, much to the chagrin of Frank (and the Official Oz Society) has dedicated his life to continuing the world of Oz through his own lacklustre works. But when Jasper discovers a serendipitously placed pair of magical silver slippers, he uses them to travel to Oz and, with the best of intentions, pilfer its many wonders. In retaliation, Princes Ozma of the Emerald City sends Dorothy’s former companions (Lion, Scarecrow and the Tin Man) to Earth to kidnap Frank. The title of the series refers to the role L. Frank Baum gave himself. 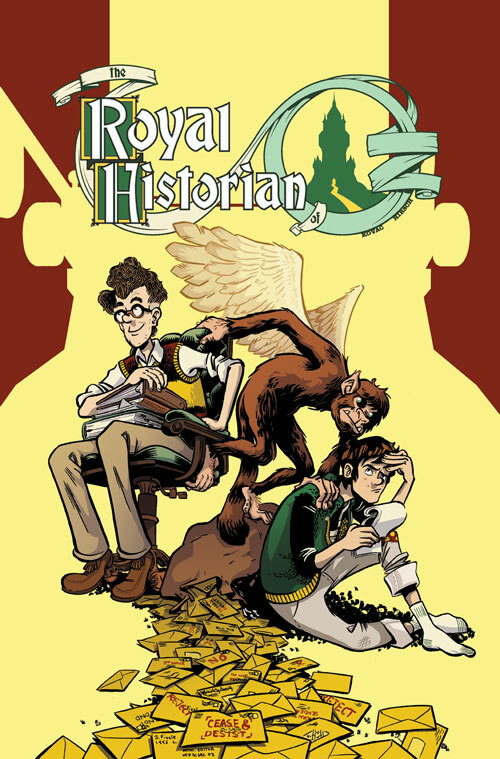 Baum saw the 14 Oz books he wrote as historical documents, and the “Royal Historian” designation was later adopted by the numerous writers throughout the past century who have produced stories set within his world. Needless to say, few if any of these writers succeeded in capturing the magic of Baum’s earliest Oz works. What differentiates The Royal Historian of Oz from many other such “expansions” is that while Kovac clearly loves and understands the source material, he isn’t beyond treating it with a level of cynicism or irreverence. There’s a dose of tragedy behind the comedy here, such as when Frank walks in on Jasper trying on the silver slippers, and jumps to the conclusion that his desperate dad has taken to cross-dressing. Jasper is a well-meaning but talentless dreamer, whose adoration for the Land of Oz doesn’t quite compensate for his storytelling deficiencies; something countless aspiring authors can relate to. Andy Hirsch’s art is as funny and charming as the script. The character designs are brilliant, and his meticulous backgrounds showcase them even further. Jasper’s physical transformation from vanquished writer to a sort of carnival ringleader is simply flawless, and while the garish Oz landscapes would have benefited from colour, Hirsch’s illustrations are such a joy to traverse that I found myself retreating to earlier pages and scanning the backdrops for the tiny details I’d missed the first time round; something I rarely, if ever, do. This first issue also hits the shelves at just $1.00, which really gives you no excuse to not pick up a copy. DC has been releasing many of its new Vertigo series at a similar price, which I always interpret as a publisher showing confidence in the quality of their product. The folk at Slave Labor Graphics clearly have enough faith in The Royal Historian of Oz to hook those willing to risk a dollar, and so they should. Any word on when the next issue is due?